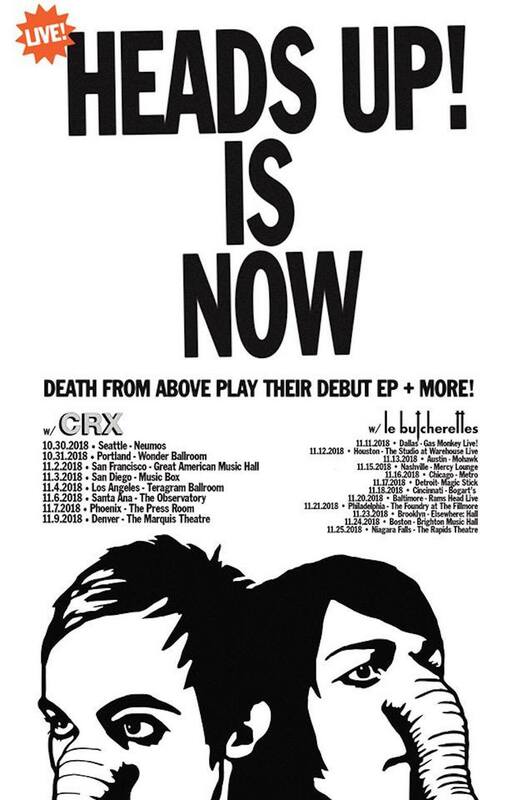 Canadian electroclash-punk-dance duo Death From Above have announced a new tour with a very specific theme according to Consequence of Sound. 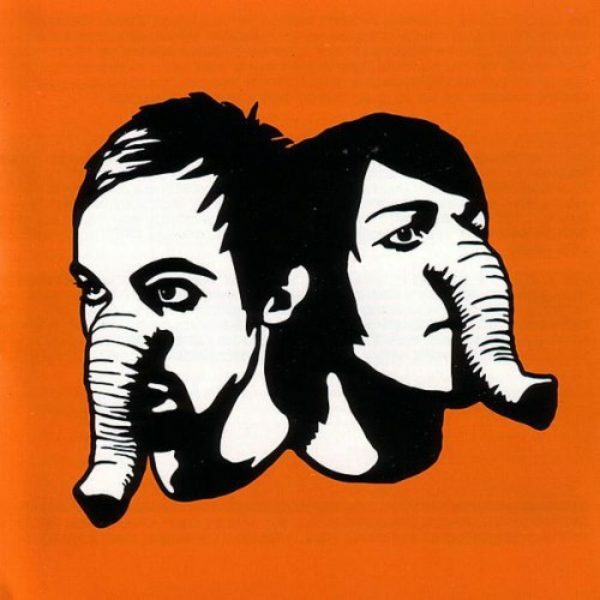 They’ll take fans way back to the early days of the band, when Jesse F. Keeler and Sebastien Grainger originally went by the moniker Death From Above (to avoid confusion with James Murphy’s DFA records they changed it to Death From Above 1979 for a short period of time). They’re repressing their debut EP, titled Heads Up, and to celebrate the band will be hitting the road to perform the six-song extended play in full. Death From Above are fresh off of the release of a new album, called Outrage! Is Now. While it took the duo nearly 10 full years to release a follow-up to their massive debut LP Romantic Rights, the wait was relatively short for the band’s fans to wait for album number three. The tour also has some strong opening support. After Death From Above play a few shows across the Atlantic, they’ll return to the West Coast for shows with CRX, the band led by Nick Valensi of The Strokes. CRX released a strong debut LP in 2016 called New Skin, a strong showing for the side project. Then, beginning in Texas DFA will be joined by the caustic Mexican punk band Le Butcherettes, led by enigmatic and intense lead singer Teri Gender Bender. The tour heads east from Texas, moving north up the Atlantic seaboard before concluding in Niagra Falls, not far from the duo’s hometown of Toronto.